Workman Publishing Company, 9780761171706, 240pp. "Bodies of breathtaking grace and agility transform ordinary spaces, seemingly defying gravity as they plié and pirouette through busy streets, a record shop, along a heliport tarmac, and under the Santa Monica boardwalk." "It's a rare book that contains anything of interest on the copyright page, but this caught my eye: ‘No trampolines or other devices were used in the taking of the photographs in this book, and the dancers' poses have not been digitally enhanced or altered.’ It's not hard to see why the author felt that such a disclaimer was necessary; the photographs in this book are unbelievable." 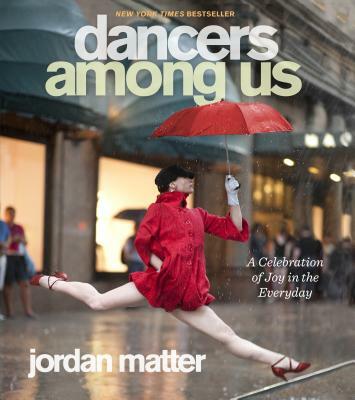 “The pictures in Dancers Among Us of pro hoofers getting their jeté on in public is a call to find the joy in everyday life—and to give in to that urge to boogie no matter where or when it hits you."